This afternoon saw the final round of League action this year for the Mayo ladies and a day of drama it proved to be. Their opponents, Monaghan, were already condemned to relegation ahead of throw-in but it took two injury-time goals from Mayo to secure a share of the spoils, on a 2-15 apiece scoreline. The match, the venue for which was switched this morning to Monaghan’s Centre of Excellence, was one in which the home side led ’till virtually the last kick. They raced into an early lead – they were 2-3 to 0-0 up inside the first ten minutes – and held a nine-point advantage at the break. Ten minutes into the second half the gap between the two sides had widened to twelve points and at that stage a big defeat for the Mayo ladies looked a racing certainty. It was then, though, that the fightback began. Little by little, the visitors began to chip away at the lead, with points from Sinead Cafferkey, Fiona Doherty, Natasha Gaughan and Grace Kelly cutting the deficit down to more manageable levels. With time running out, though, Monaghan still led by six points. Then two injury-time goals, from Natasha Gaughan and sub Sarah Rowe, secured what had up until then looked a very unlikely share of the spoils. The result secures fifth spot in Division One for Peter Leahy’s team, not high enough to make the play-offs but with their top tier status secured once more for next year. Well done to them for that. Full match report on today’s encounter is here. Willie Joe, was it not Sarah Rowe who got the last goal and not Sinéad Cafferkey? To be honest, I don’t know Sinead – the match report I linked to said it was your namesake rather than Sarah Rowe. Brilliant come back from this young bunch of ladies .. 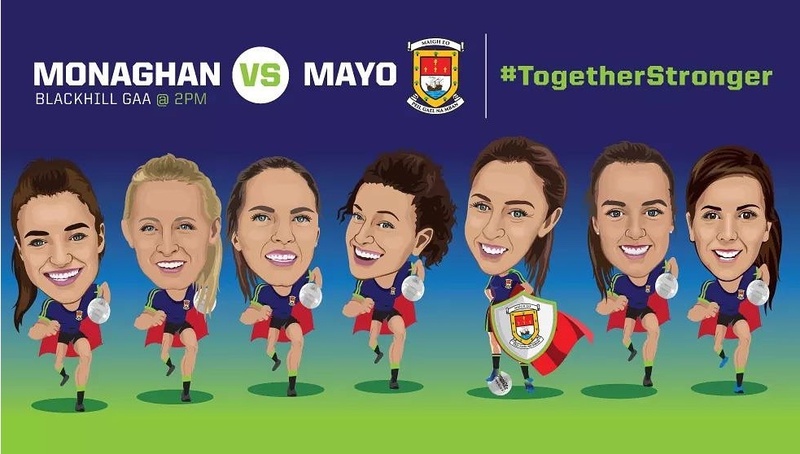 The Mayo women really showed they have the heart and talent to compete with the best…such strong performances from a new and largely young team. Well done to you all and your management. Hope you keep making progress and showcase the positive and powerful side of Mayo women and their football. Thanks for sticking at it and doing us proud as a county.